We may be getting a Victorian-set Christmas special sometime soon(ish) but most fans still really want to know when the much-antipicated fourth series of Sherlock will air. Well, if you’re such a fan you’re in luck as new news has materialised on the subject. Earlier in the year co-creator Steven Moffat revealed that production on the series would resume in Spring 2016 and now he has shed further light on the matter and confirmed that work is expected to begin on it in April next year. 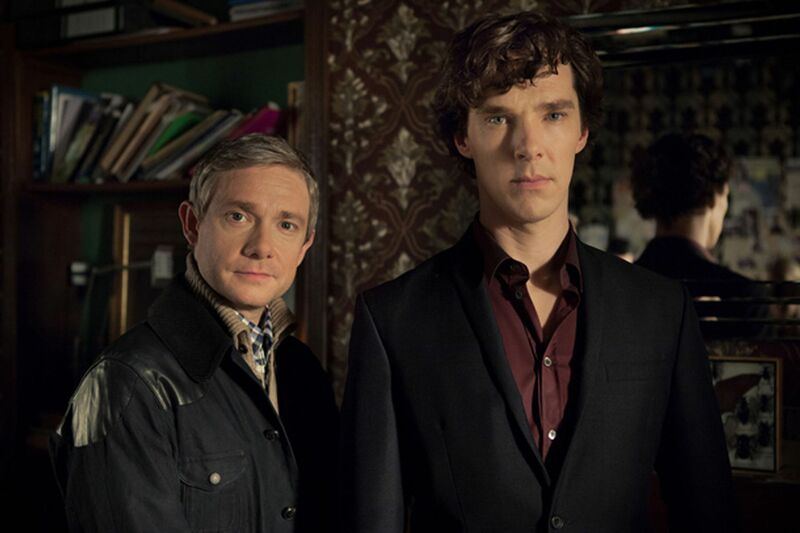 Hold on to your deerstalkers, everyone, we’ve got some exciting news – the long-awaited Sherlock Series Four is to begin filming next Spring! Speaking at the BAFTA Television Awards ceremony yesterday evening (at which Sherlock won the Radio Times Audience Award), co-creator Steven Moffat and star Amanda Abbington confirmed that work on the three-part series is scheduled to commence early next year, shortly after the airing of the one-off Christmas special – which, as we know, is to be set in Victorian times. Moffat has spoken about the upcoming series before, describing it as detailing an ’emotional upheaval’ in the lives of our heroes and about seeing the ‘consequences’ of Sherlock’s actions. Things coming back to bite you, eh, Moffat? Things such as Irish evil masterminds who have come back from the dead?